World War II prompted the rationing of many commodities. 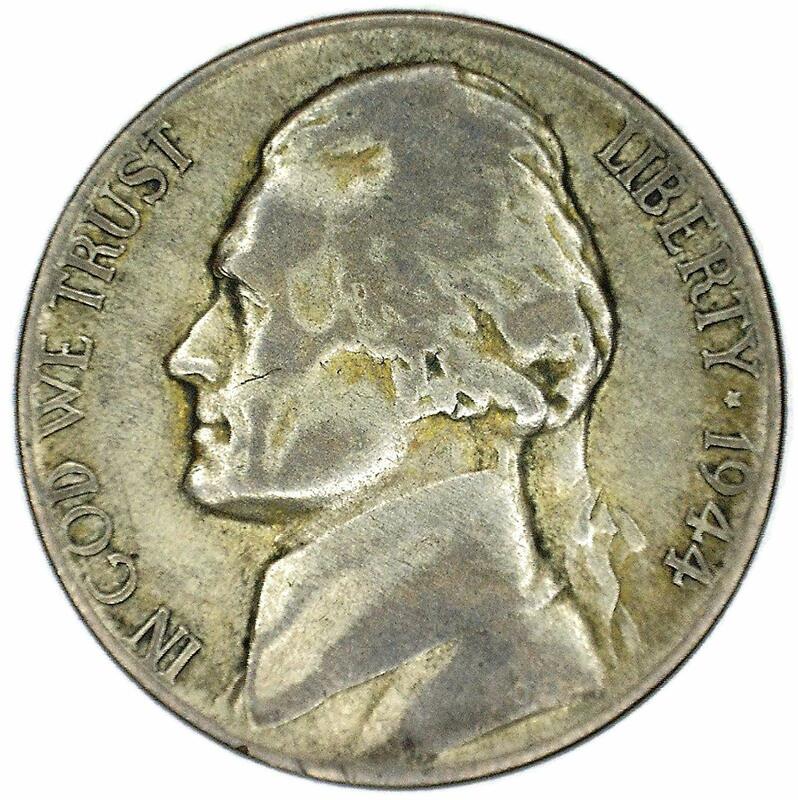 Nickel was highly valued for use in armor plating, and Congress ordered the removal of this metal from the five-cent piece, effective October 8, 1942. From that date, and lasting through the end of 1945, five-cent pieces bore the regular design but were minted from an alloy of copper, silver and manganese. It was anticipated that these emergency coins would be withdrawn from circulation after the war, so a prominent distinguishing feature was added. Coins from all three mints bore very large mintmarks above the dome of Monticello, and the letter ‘P’ was used as a mintmark for the first time on a U. S. coin.